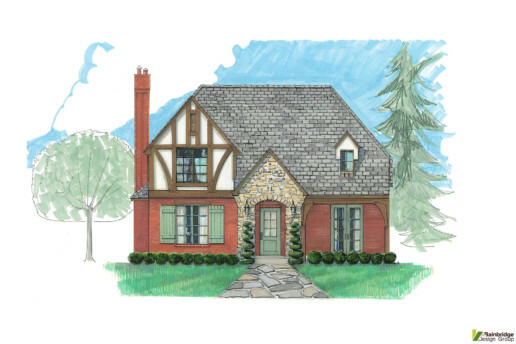 The Tudor home style originates from English construction during the late medieval era. One key element of this style is decorative half timbering that is intended to mimic construction methods of that time period, when large exposed timbers were used to support the weight of the structure. These homes are often constructed using a mixture of stone, brick, and stucco. Windows are typically tall and narrow with small panes that can be rectangular or diamond shaped. The roof system will be steeply pitched, perfect for shedding copious amounts of rain and snow, and will usually house large brick or stone chimneys with decorative pots. All of these elements work together to create a home that exudes rustic charm and a quaint, inviting appeal.